A long-term project into the relationship between sculpture and landscape, developed through collaboration between the Portland Sculpture & Quarry Trust and the staff and students at the University of Brighton. The former quarry in Portland, Dorset is a museum and sculpture centre offering opportunities for the public, artists and students to recognise the intimate relationship that sculpture has with landscape, bringing them into contact with the quarrying history and developing their understanding of materials, their source and their form. The inspiration for PSQT work is a landscape shaped by the elemental forces of nature and man, worked by hand over 28 generations of quarrying families on the island – where human time and the vastness of geological time visibly intersect – where stone holds evidence of life on earth, once part of another country, another time, and underpins the fragile layer of ecology on which we exist. 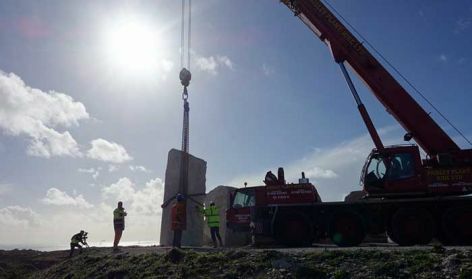 It is this that former University of Brighton tutor Antony Gormley and others recognised, providing their own site-specific temporary and permanent sculptures. The opportunity for University of Brighton students to visit and be part of the PSQT developed over several years, with projects from sculpture and performance art coming into the curriculum. 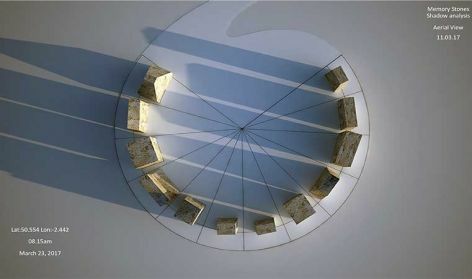 A circle of stones will be put in place at the Portland Quarry in 2017, selected and crafted to have special resonance with the environment. The stones have been selected for their weight, volume, surface, contours, shadows, geological properties as well as for their cultural and architectural associations. 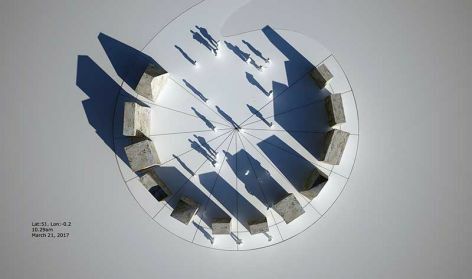 They are placed to relate to the passage of the sun and the earth’s orbit, aligned to the solstices and equinox so that the sun creates time-specific shadows around the stones and through specially drilled bore holes. This will make it possible to read the seasons through the fall of light over a large area beyond the circle of stones itself. that is 940million kilometres – that it travels in a sidereal year. Once in place at the Spring Equinox 2017, the opportunity for visitor interaction will include a trail with digital devices, raising awareness of the relationship between sculpture and landscape, human and geological time.